The human race is always looking for ways to consolidate and simplify the various technologies in our lives. And for those of us in hotter climates, day-to-day existence most certainly includes air conditioning. While there’s nothing particularly strenuous about turning on your air conditioning, occasionally the remote control will get lost, run out of battery power, or even break. So wouldn’t it be convenient if there was some way to control your air con using something we always have on us… like, say, our smartphones? It would also be super convenient for those hot days when you’d rather put your air con to work a few minutes before you get home. Read for on all the details of the above four brands. 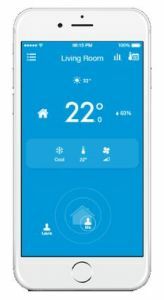 Named after the German tech company that makes it, the Tado Smart AC Control is a product designed to reduce energy consumed by a home’s air conditioning unit and make air con systems ‘smarter’ and more intuitive. 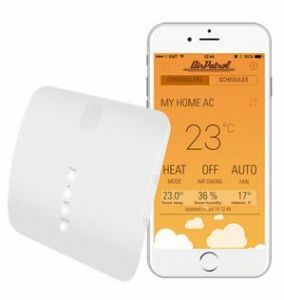 The Tado Wi-Fi connector is placed in the line of sight of the air conditioner and communicates with it using infrared connection, the same way a normal remote does. The system has a corresponding smartphone app which has a couple of neat function, the first being tracking. The Tado box tracks the comings and goings of the smartphones paired to it and adjusts the air-conditioning accordingly. Based on your preferred settings, this could mean the air conditioner gets turned off entirely when no one’s in your home, or just gets placed on quiet mode, or a lower fan setting. The other function of the app is slightly more pedestrian, but no less convenient. It turns your smartphone into an air conditioning remote, meaning that if you feel a bit chilly on the couch you can adjust it from your smartphone without having to get up and look for the remote. In summer we all dread coming home to a sweltering house and in winter we’re fearful of stepping into our home-turned-icebox after a day at work. The scramble to turn the air conditioner on and the subsequent wait for the room to either cool down or heat up are both bemoaned rituals, but the AirPatrol is here to put an end to them. The AirPatrol system is comprised of two parts – a smartphone app and the AirPatrol receiver. 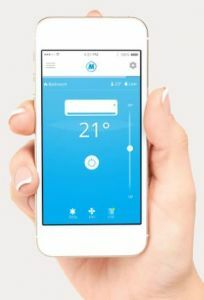 The receiver connects to both your air conditioner and home Wi-Fi, and then creates a cloud which can be accessed via the app from anywhere. This means that you can tell AirPatrol to start cooling or heating your room while you’re stuck in traffic on the way home, so you can enjoy a perfectly conditioned house when you walk through the door. On top of this, what if you forgot to turn the air conditioning off before you left in the morning? Turn it off from your smartphone and save yourself either a hefty electricity bill, or having to drive back home. 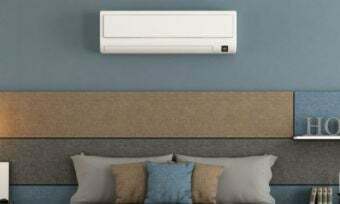 It also shares an aspect of convenience with the Tado Smart AC Control, allowing you to adjust your air conditioner’s temperature or fan setting without having to get up or search for the remote. At face value this system doesn’t look that different from the systems we’ve already listed – it’s comprised of a receiver and a smartphone app, and allows you to remotely control your air conditioner. However, it’s the details that make Melissa Climate stand out, and for all the right reasons. The app records some rather useful information pertaining to your air conditioner use, namely how often you use it, how long for, the time you spend in and out of the house, and the percentage of your electricity bill the app has supposedly saved you. It also allows you to set a desired temperature for every time of day – nice and cool in the middle of the day when it’s hot outside, but perhaps a bit warmer at night. One thing a lot of us forget to do, or don’t even think about, is the cleaning and maintenance of our air conditioner units. However, that won’t be a problem with the Melissa system because it tells you if your air conditioner’s air filter needs replacing, and will even suggest a nearby specialist who can do the job for you. Like AirPatrol, Ambi Climate works using a cloud system, connecting your air conditioner to the Ambi Climate receiver, connecting that to a cloud, and then connecting the cloud to your smartphone’s Ambi App. ‘So what’s different?’ we hear you ask. Well, as with the Melissa system, Ambi Climate’s edge lies in the app’s ability to record, analyse and act on the information you indirectly feed to it. Over time, Ambi Climate will learn and internalise which settings you use most often, and will build a user profile based on your preferences and habits. It can also display your user history in the form of graphs, which also provide transparency by way of detailing how Ambi Climate is working to better understand and record your use habits. 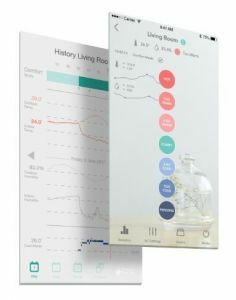 Ambi Climate can also be used to maintain incredibly specific conditions in your house – you can use the app to dictate specific levels of temperature and humidity, and the times at which Ambi Climate controls these aspects. Every system on this list is built on the same idea, however they’re all different in how they execute it and what problems they seek to solve. If you’ve got a problem with your air conditioner system’s restrictions, there’s probably an app on this list that could solve it and significantly improve your user experience overall. Smartphones have been here for a while, but smart air conditioning is just beginning!